If you are looking for things to do on the Norfolk Broads then Wroxham is a great day out. Whether you are travelling by car, bus, train or boat there is lots to keep you busy all day. Wroxham is a one stop shopping destination with 6 Roys stores selling everything you could need! If fashion is your forté then the department store is full of this seasons must haves from great brands such as Joules, Laura Ashley, Clarks, Superdry, Barbour, Fossil, Ray Ban, Radley, Animal and many more. The department store is also home to great gifts, kitchenware, cards and stationery, toiletries, beauty, a pharmacy and electrical items. If you are looking for something special to remind you of your trip on the broads or to give as a gift then we have some lovely Roys and broads themed items. Roys supermarket is home to a wealth of delicious locally supplied food and drink to help you really make the most of visiting the wonderful county of Norfolk! It also has an in house bakery that bakes delightful bread, cake and pastries from scratch, a deli with olive and salad bar and a large beers, wines and spirits department full of great value local and non-local alcoholic drinks. Other Roys stores include Roys Toys, Roys DIY centre & Roys garden centre. There are many other stores in Wroxham such as a Post office in the shopping precinct, hairdresser and beauty salons, Hoveton Broads Authority Visitor Centre, Bradley Hatch Jewellers and a library. The Norfolk Broads is full of activities for any age and interest and Wroxham has lots of activities for a great day out. There are many boatyards such as Broads Tours where day boats or canoes can be hired, along with river trips if you do not want the hassle of driving. 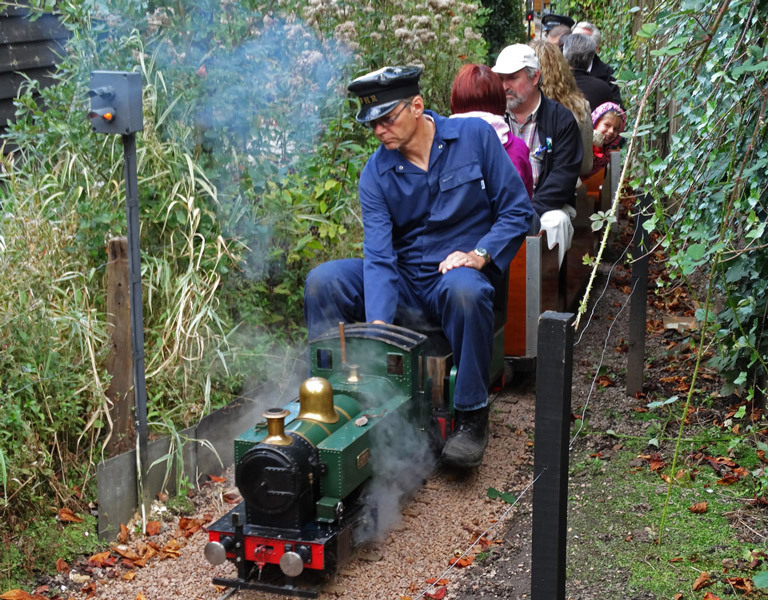 On the third Sunday of each month from April until October, take a nostalgic trip on a miniature railway next to the river bure! The broads is a wonderful habitat that is home to all kinds of water birds, mammals, insects and plants, take a stroll with some bird food and see what you can find. If you want to do something to keep the kids entertained then Wroxham Miniature Worlds, Barton House Railway, Bewilderwood and Wroxham barns are all close by. If you want to go further afield then there are bicycles for hire at the Hoveton Broads Authority Visitor Centre, busses and trains also leave regularly to surrounding destinations. 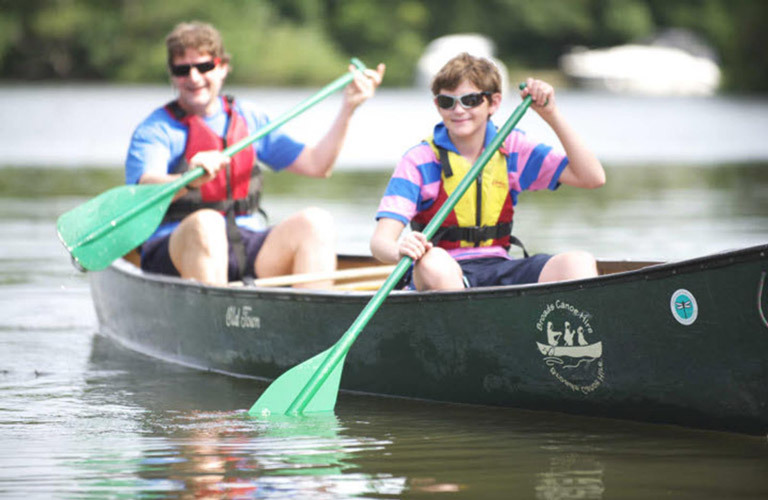 Rent a canoe from Broads Canoe Hire in the villiage for a great day out on the water! There is a whole host of places to enjoy a bite to eat in Wroxham from a café and McDonalds in Roys food hall to pubs and hotels such as The Kings Head Hotel and Hotel Wroxham. If you are looking for fine dining then The Station Smokehouse and The River Kitchen are just two of the great restaurants in the village. There are over 1000 free parking spaces for Roys customers in Wroxham spread over 3 large car parks. The short stay car park is adjacent to the Department Store and Garden Centre, and includes disabled bays and parent and child bays. Our mid length stay car park is on Station Road and long stay car park / coach parking on Belaugh Road. There are also a number of pay and display car parks in the town. There are also regular buses to Wroxham from Norwich and Stalham and daily journeys from Great Yarmouth, Acle and Reepham, plus stops in between. Wroxham train station is a very short walk to the village centre. The Station is known as Hoveton and Wroxham, you can travel to Wroxham from Norwich station or Sheringham station and any stops in between. We are also very lucky to have the Bure Valley Railway in Wroxham which is also a short walk in to the village. With this railway you can experience a nostalgic trip by steam on Norfolk’s longest narrow gauge railway which runs between the historic town of Aylsham and Wroxham, at the heart of the Norfolk broads. The River Bure flows through Wroxham which allows boats to visit Wroxham from anywhere on the Norfolk broads. There are areas of free local authority moorings (many are adjacent to the Kings Head hotel), there are also free moorings at many of the numerous boatyards including Richardson's, Brinkcraft, Summercraft and Faircraft. Simply moor up for a few hours and enjoy some well-deserved shopping and dining. Please be aware that if you are wanting to travel through Wroxham, Wroxham bridge is a fixed road bridge and has a clearance of 2.21m and a width of 8m.